Mystery Science Theater 3000 is used to taking on the world of movies in hilarious fashion, but thanks to Dark Horse the crew finds themselves immersed in a whole new world...the world of comics. The beloved franchise is coming to comics in Dark Horse's brand new (and aptly titled) series Mystery Science Theater 3000 The Comic. The new comic series is being helmed by original Mystery Science Theater host Joel Hodgson, who last hosted the show back in season five. All the beloved characters will be right alongside him as Crow T. Robot, Tom Servo, and Gypsy take to dissecting some of the best comics the public domain has to offer. The six-part series will launch with two covers. The main cover is drawn by Todd Nauck, while the variant cover features the work of Steve Vance, who also created the covers for Shout! Factory's Mystery Science Theater 3000 DVD and Blu-ray collections. You can get your first look at the new covers below. The official description for the series can be found below. "The riffing hilarity loved by fans of Mystery Science Theater 3000 since 1988 is taking on a whole new medium…comics! 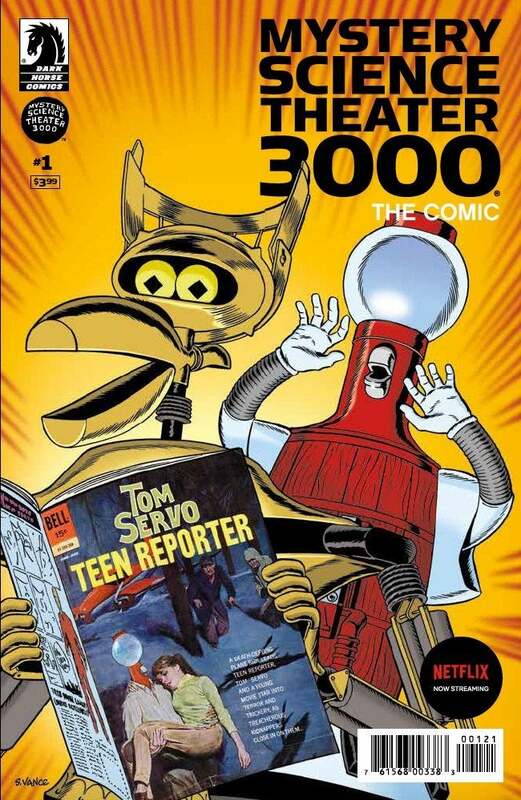 Created for comics by series creator Joel Hodgson, Mystery Science Theater 3000, The Comic finds Jonah Heston, Crow T. Robot, Tom Servo, and Gypsy thrust into the 2-D world of public domain comics, with riffing as their only defense! But trust us, these comics have it coming. 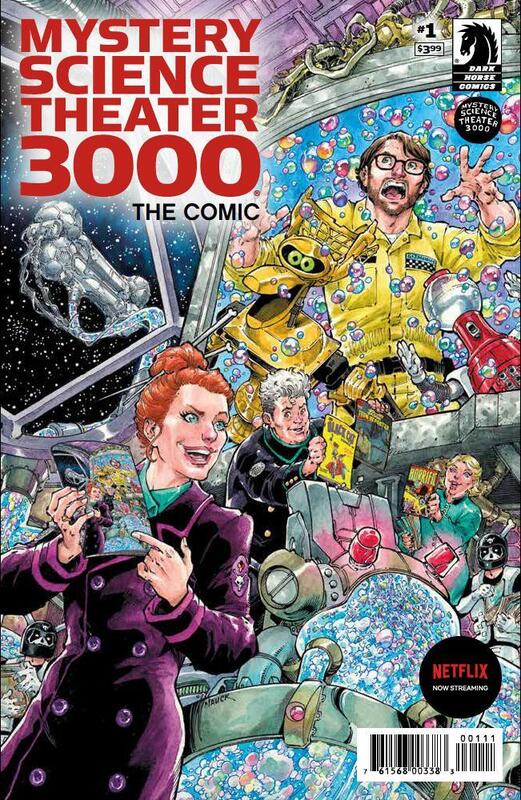 Featuring a variant cover by longtime MST3K DVD artist Steve Vance (among others), Mystery Science Theater 3000, The Comic is a perfect companion to your favorite original episodes and the hit Netflix show!" The show recently relaunched on Netflix after a crowdfunding campaign, experiencing immense success, so much so that it has already been given a second season on the streaming service, the franchise's twelfth season overall. The show was originally created by Hodgson back in 1988 and was based on the premise of a janitor being rapped by two mad scientists. They forced him to watch B movies in an attempt to take over the world (long story), and to help keep himself sane he developed several robot companions to accompany him in riffing on the films he had to watch. The show is also conducting a 30th-anniversary tour, which Hodgson will take part in as well. Mystery Science Theater 3000, The Comic #1 lands on shelves on September 9, and is available for pre-order at your local comic shop.